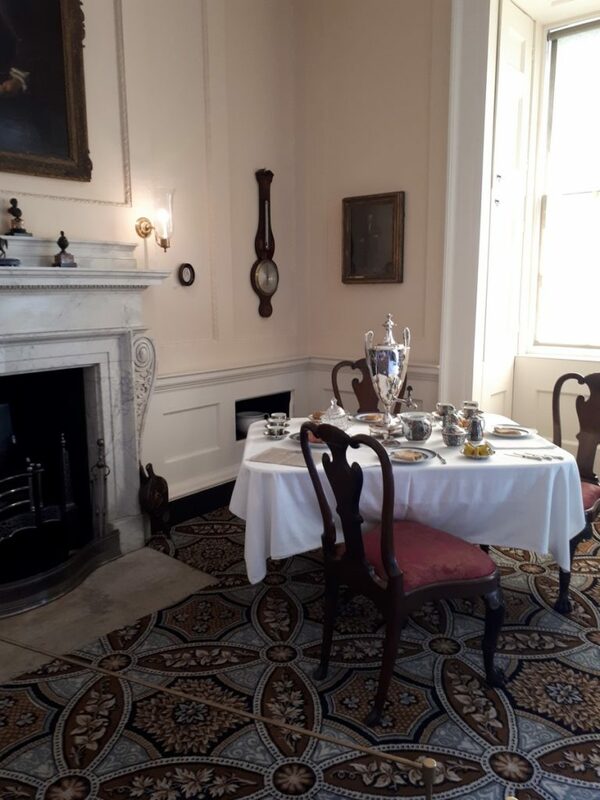 Our Georgian Tour this year was a bit of a departure, as it was the first tour on which I opted for a period property as our lodging, rather than a hotel. 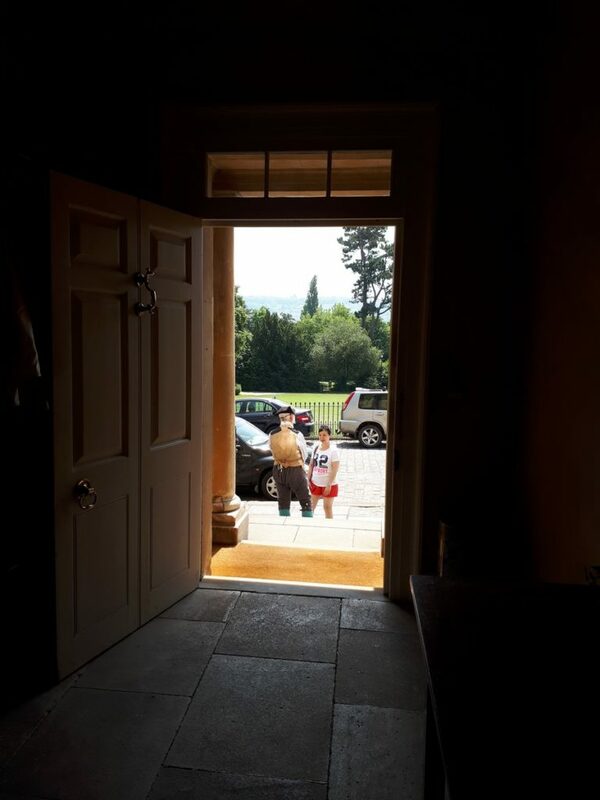 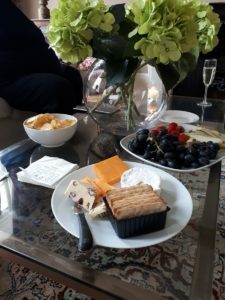 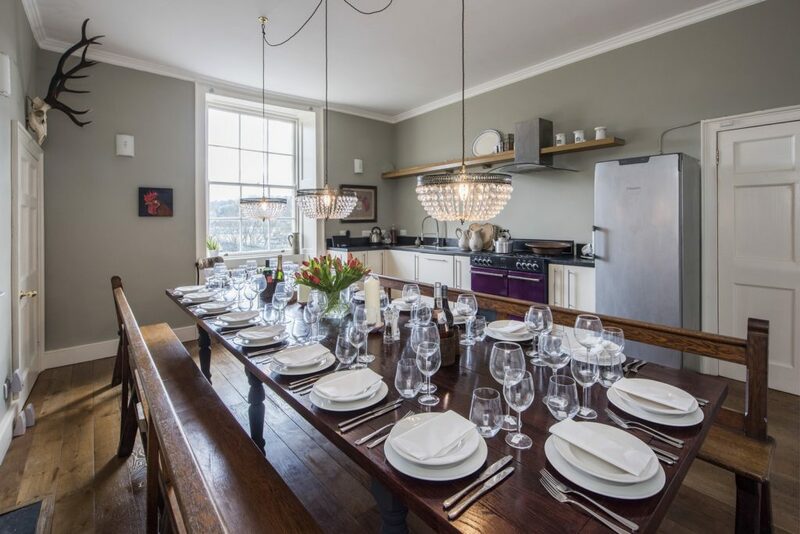 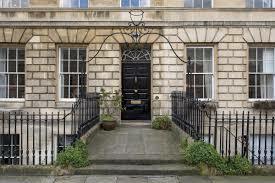 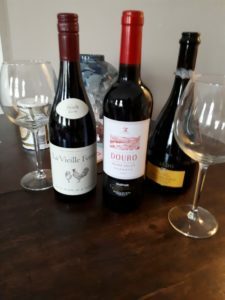 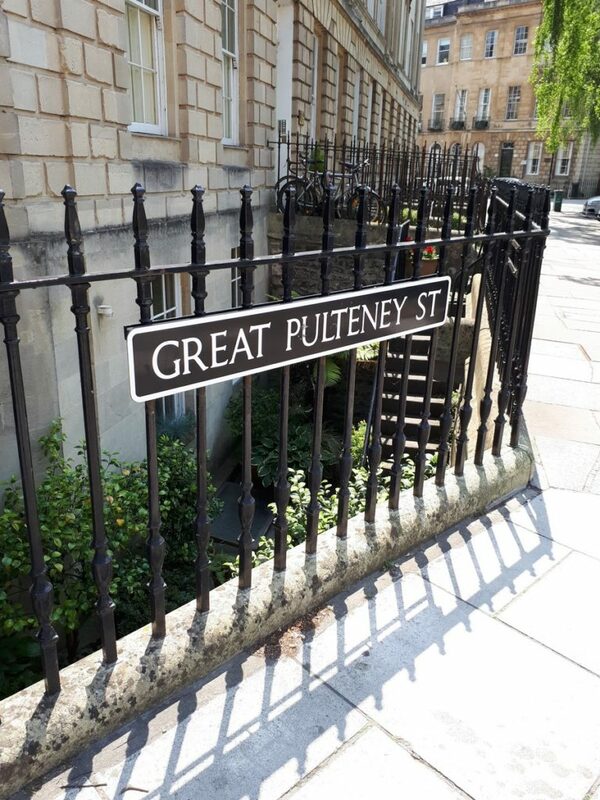 Though I knew that the townhouse in Great Pulteney Street was well appointed, I was anxious to see how it would be received by my guests. 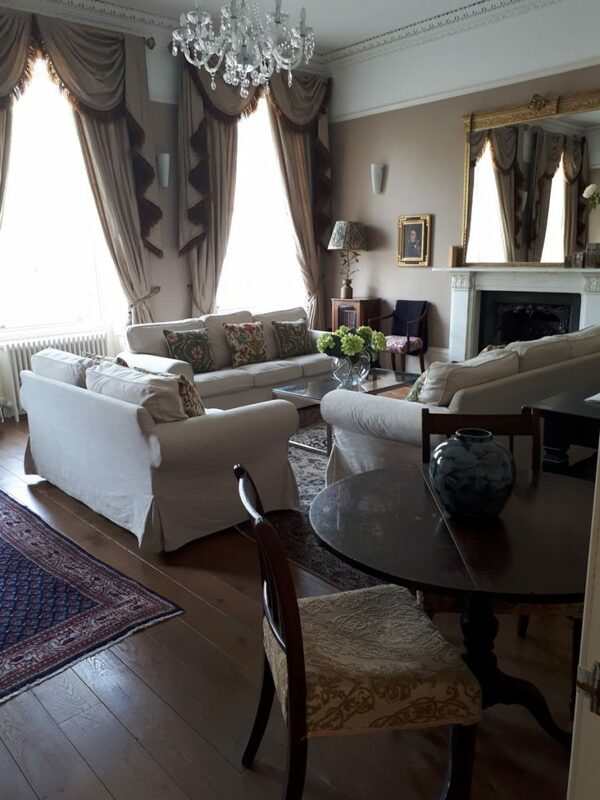 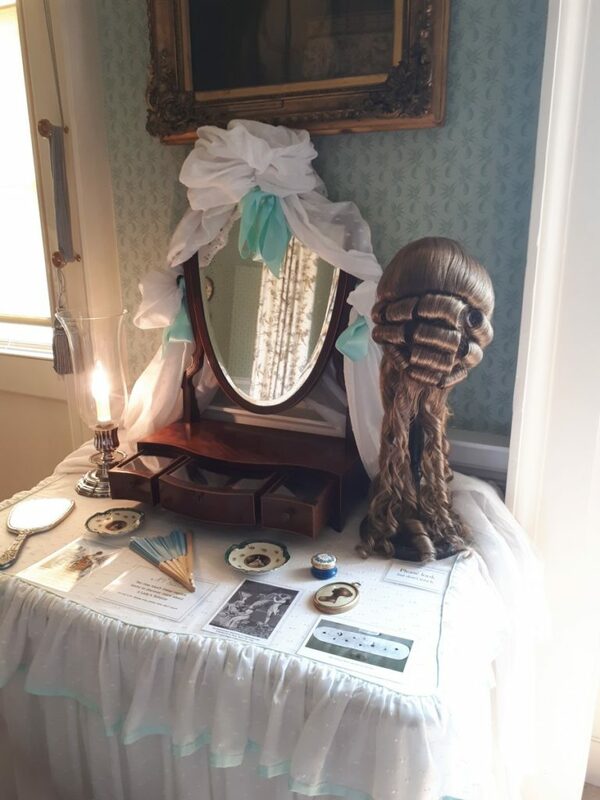 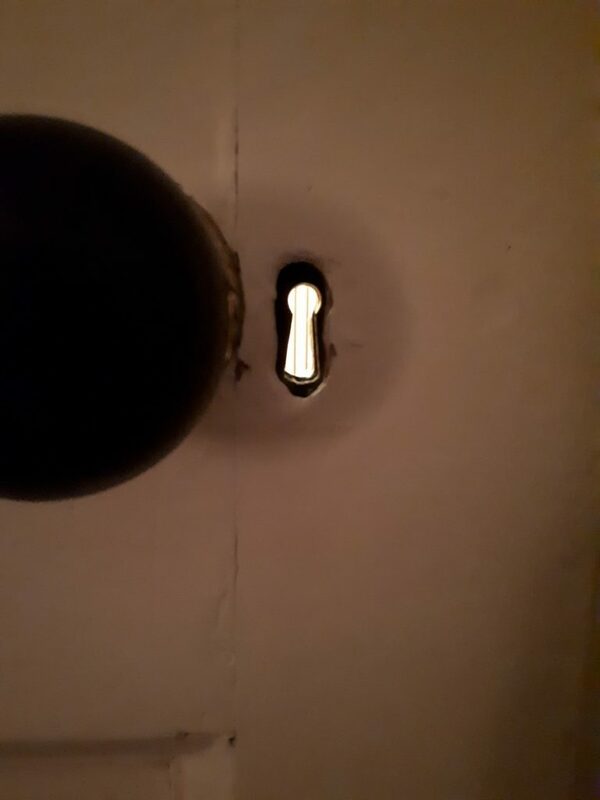 As it happened, it turned out to be the perfect blend of period detail and modern luxury. 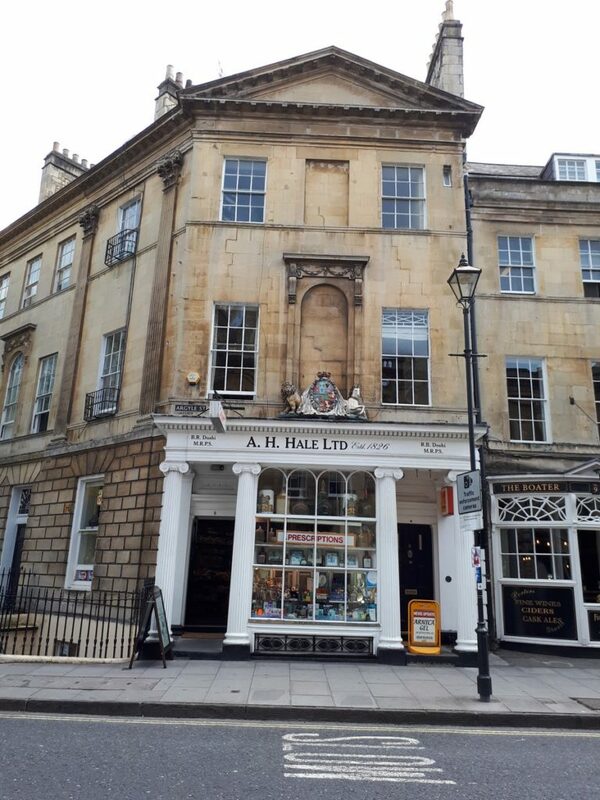 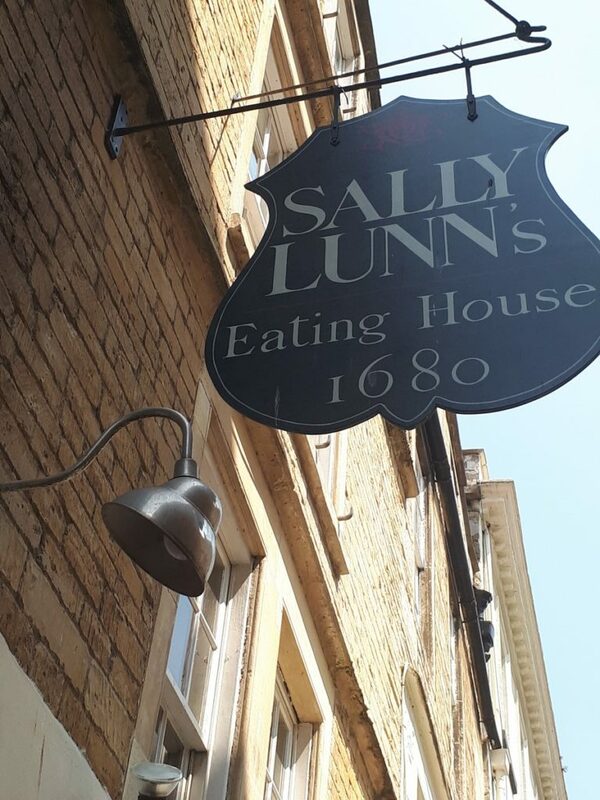 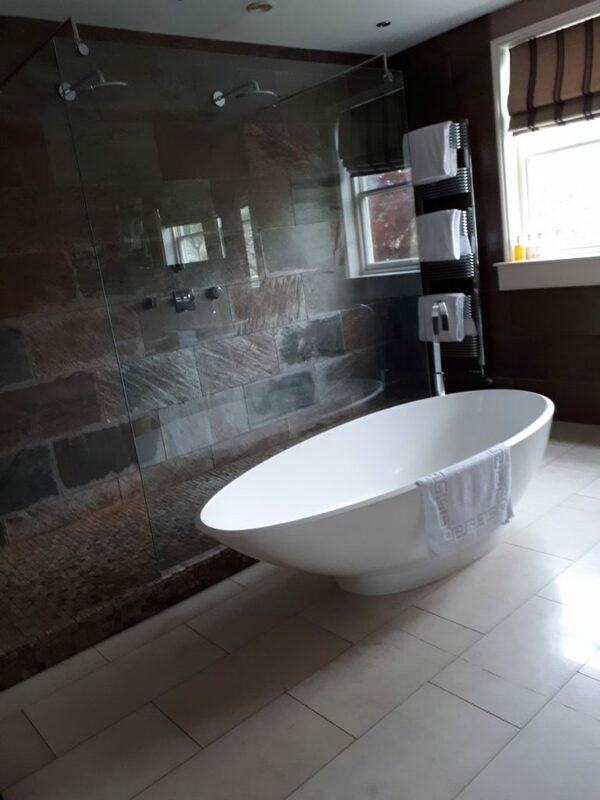 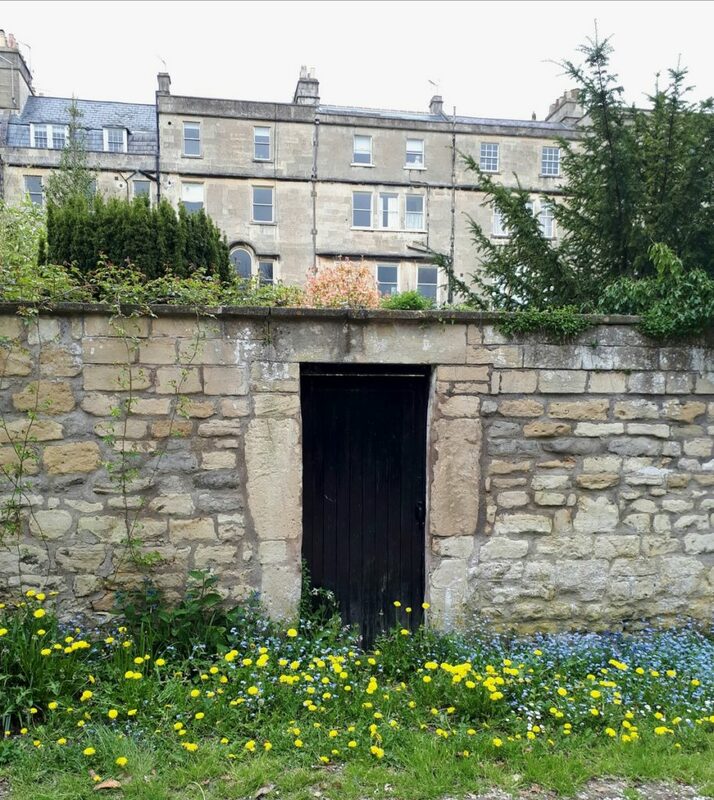 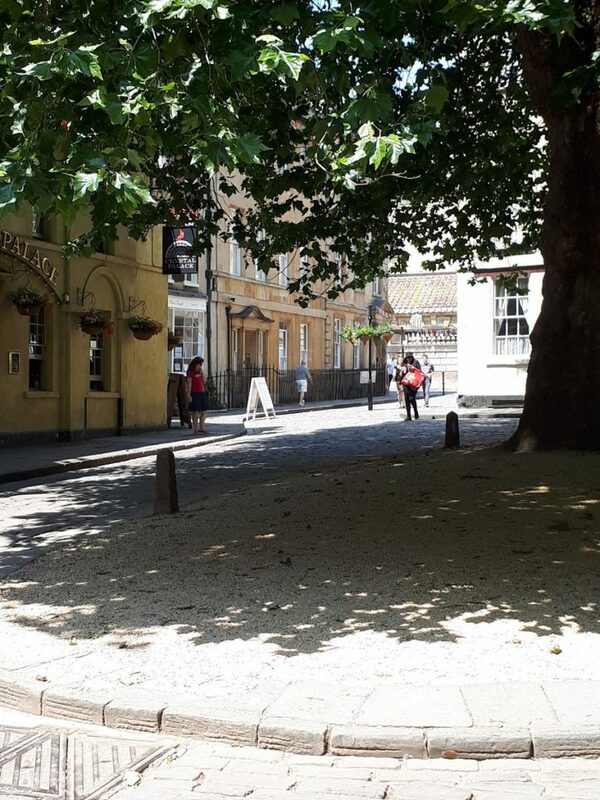 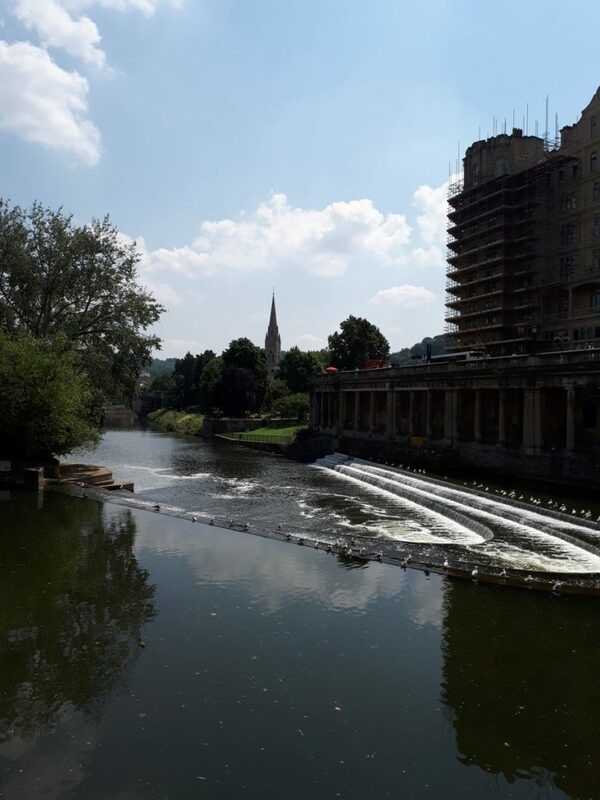 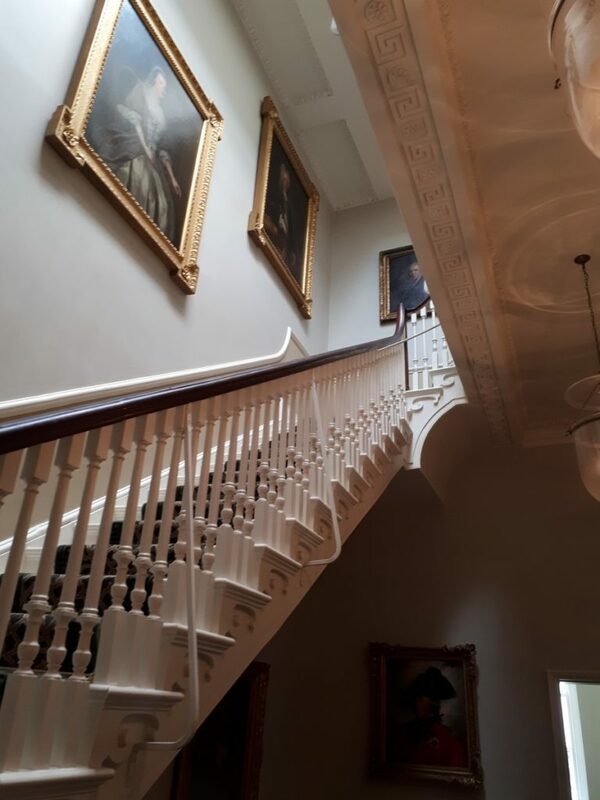 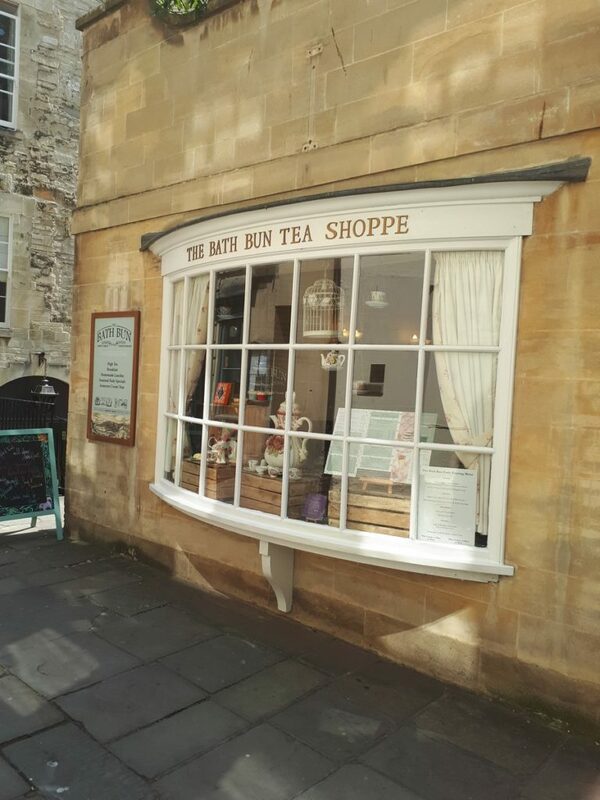 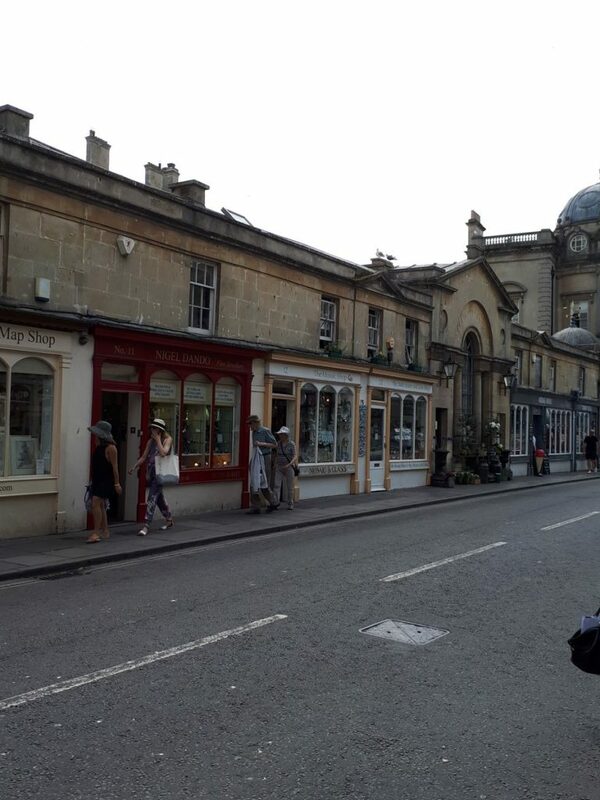 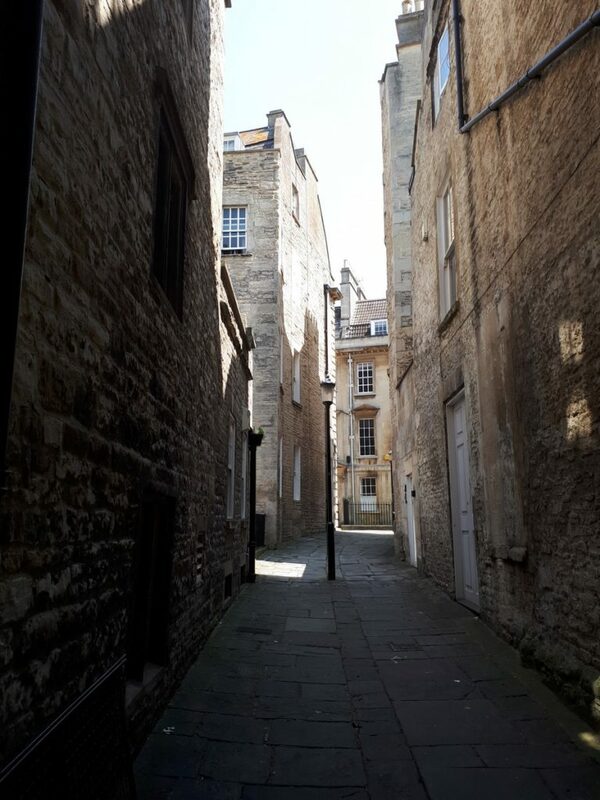 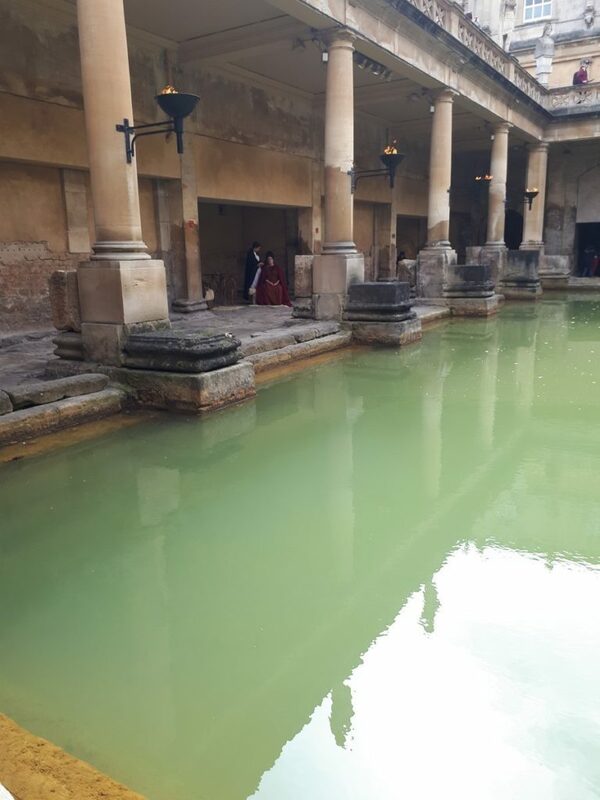 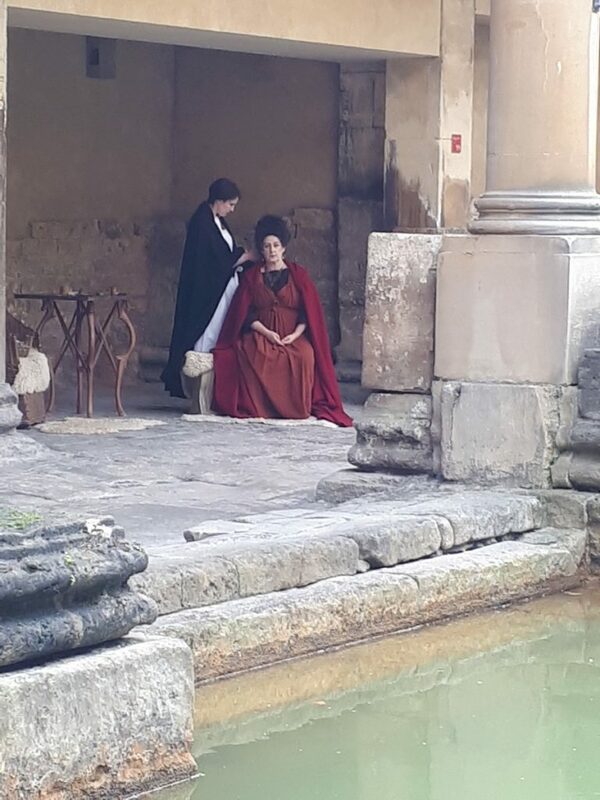 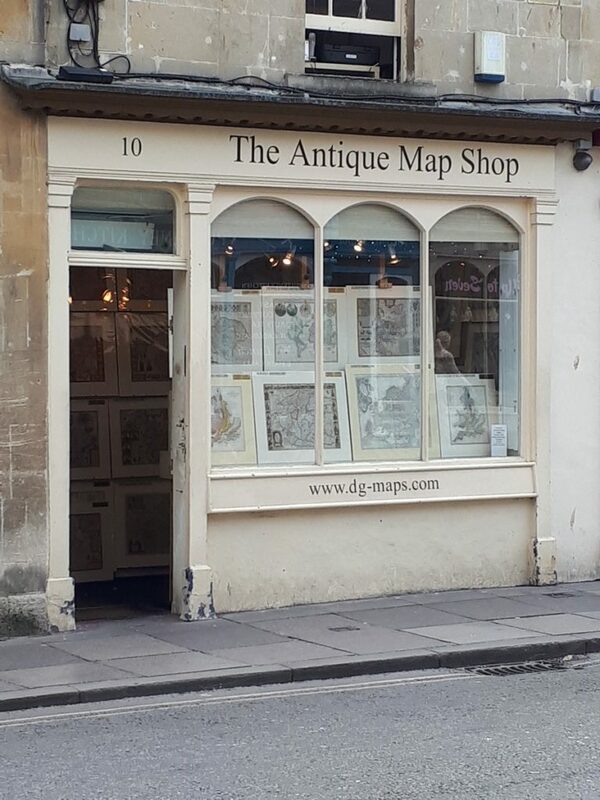 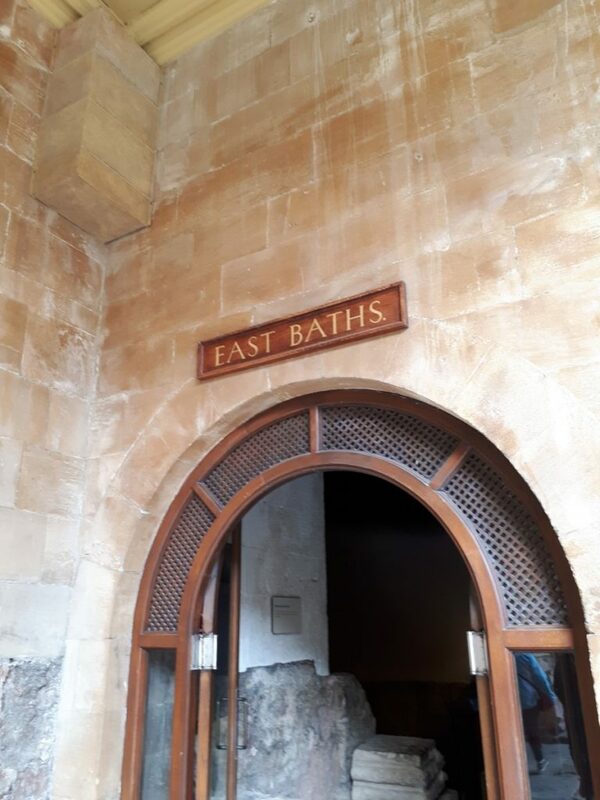 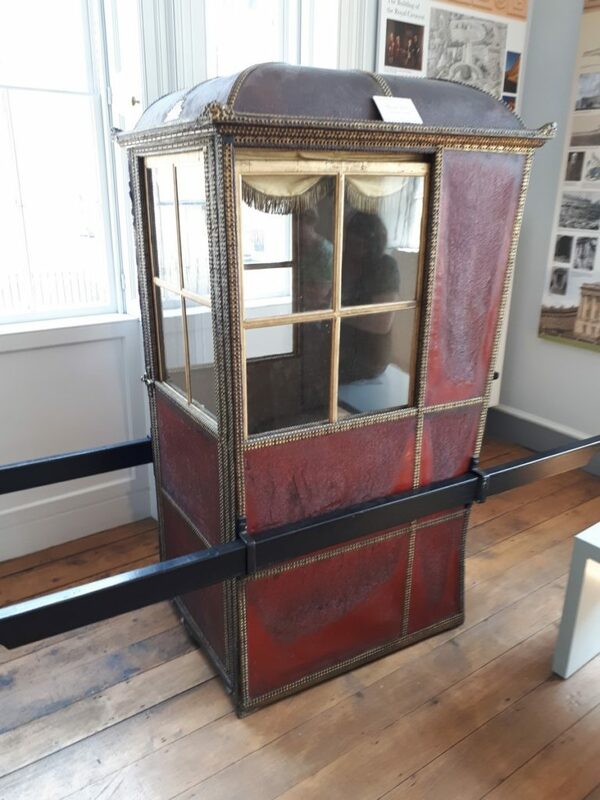 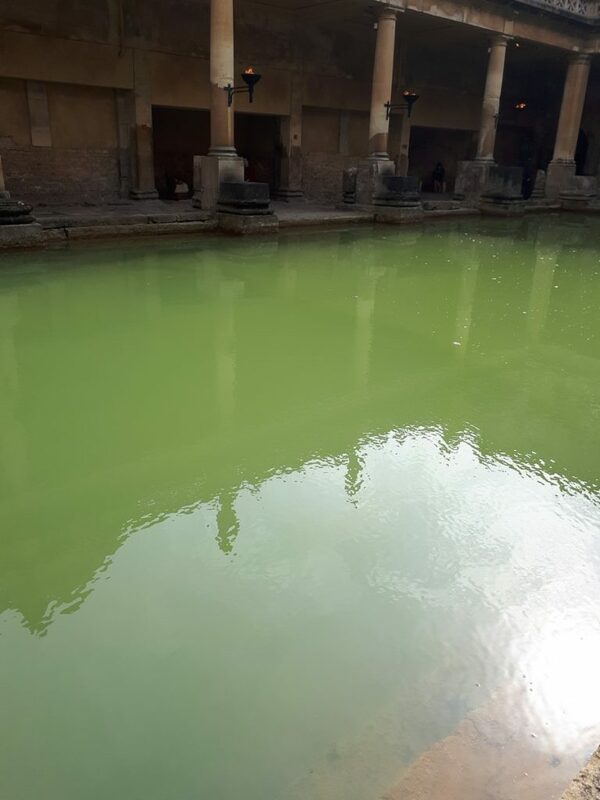 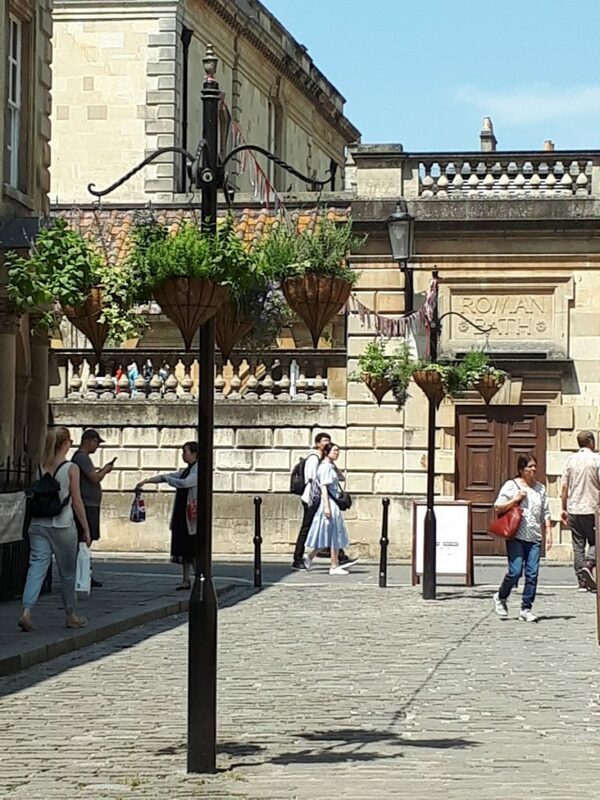 Bath is extremely walk-able and this was the route we strolled each day – past Laura Place and over the historic Pulteney Bridge with its period shops and into the centre of the City. 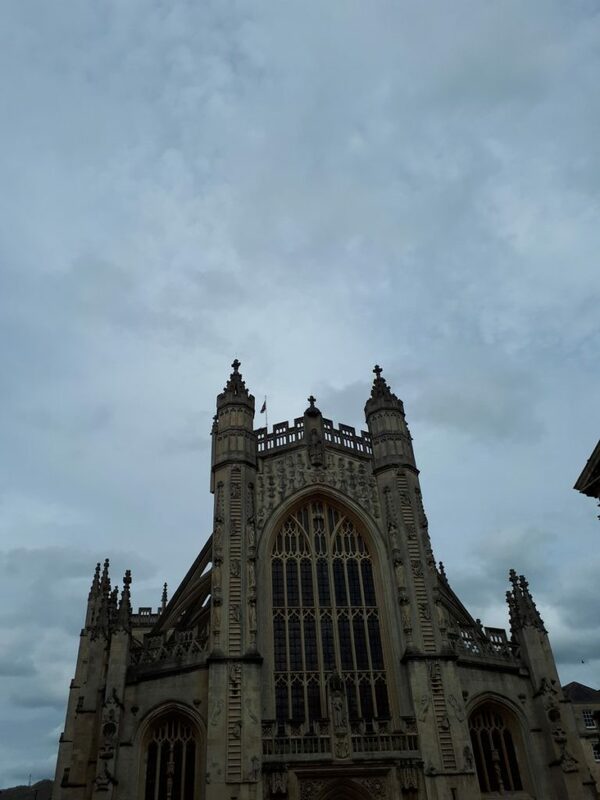 Afterwards, we visited the Abbey and Abbey Square. 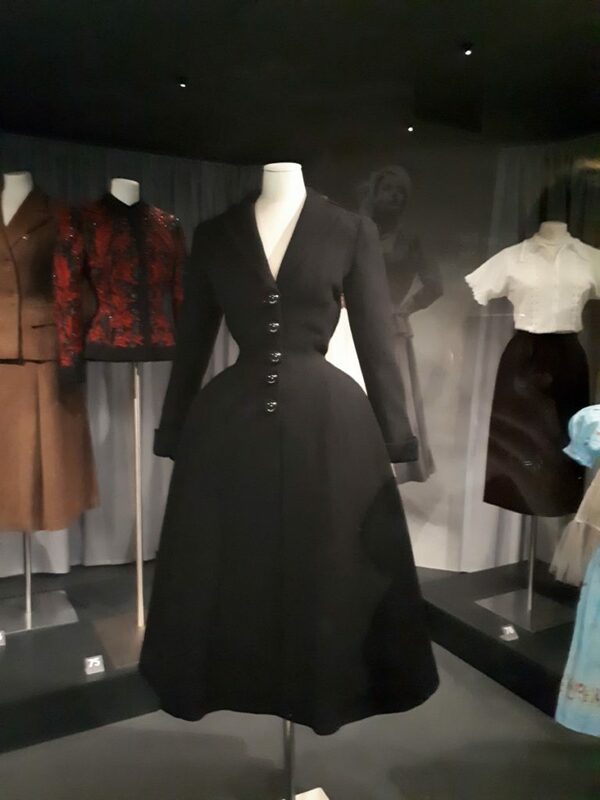 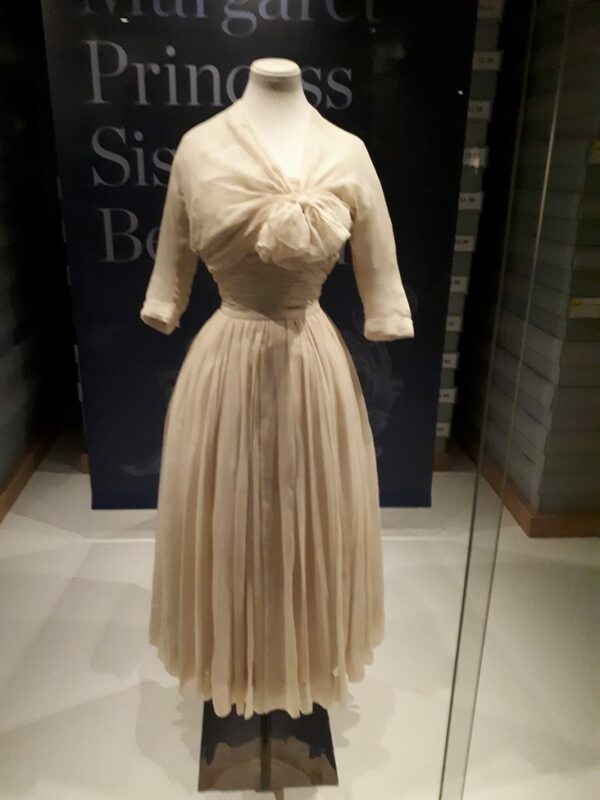 Walking up Milsom Street, we headed for the Fashion Museum, where I was captivated by Princess Margaret’s truly tiny dresses. 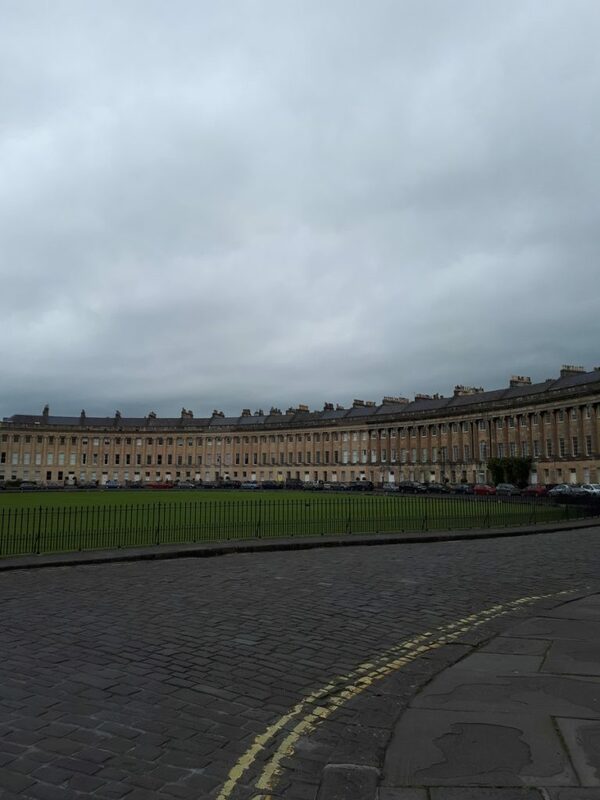 Another short stroll brought us to the Royal Crescent and the No. 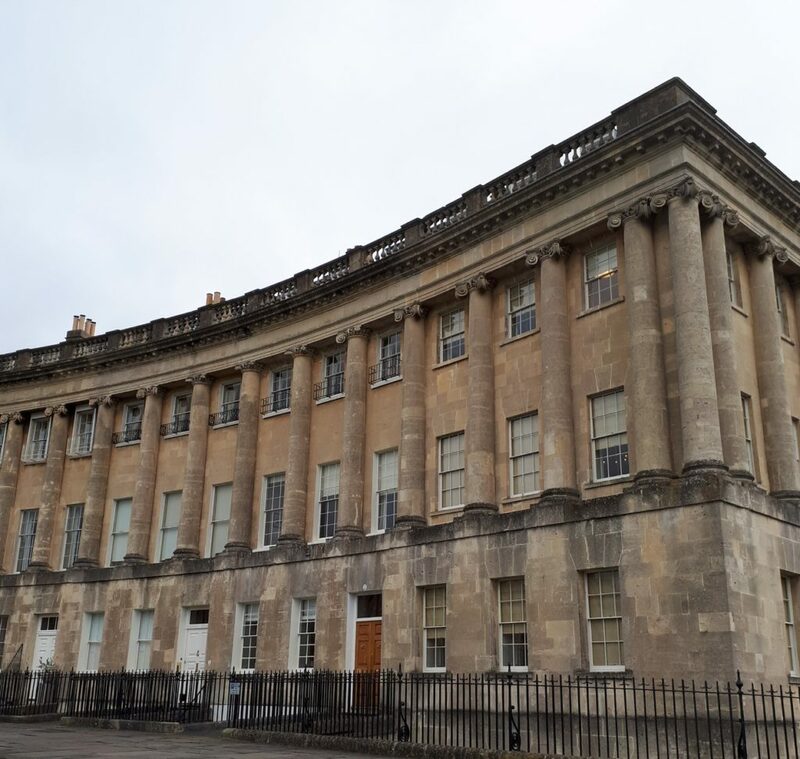 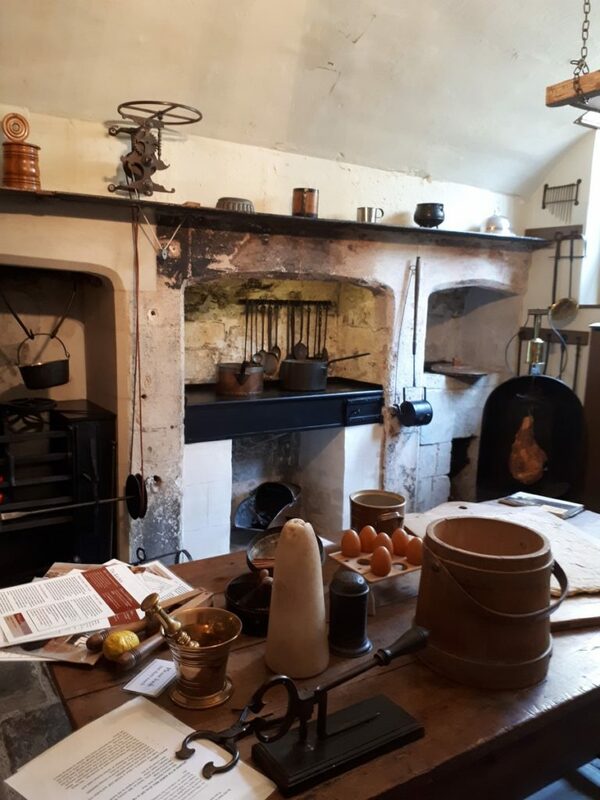 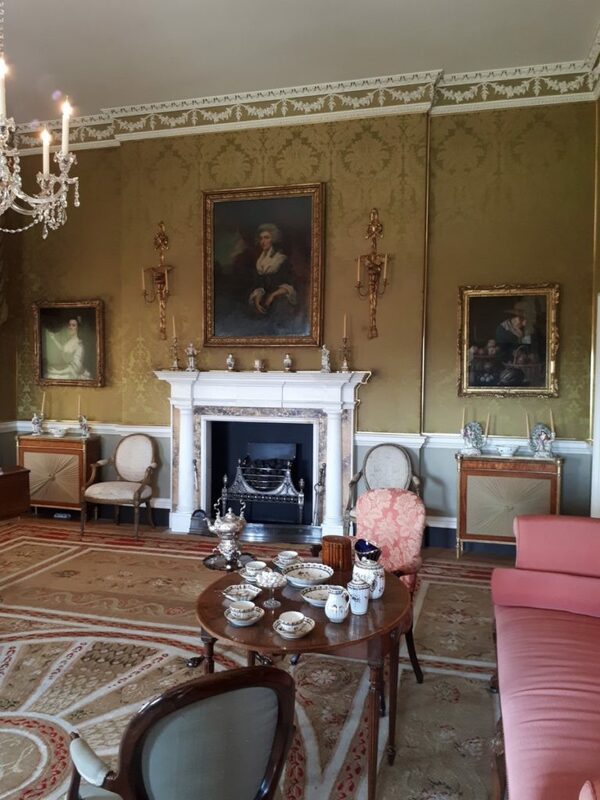 1 Royal Crescent Museum for some hands-on research regarding 19th century life. 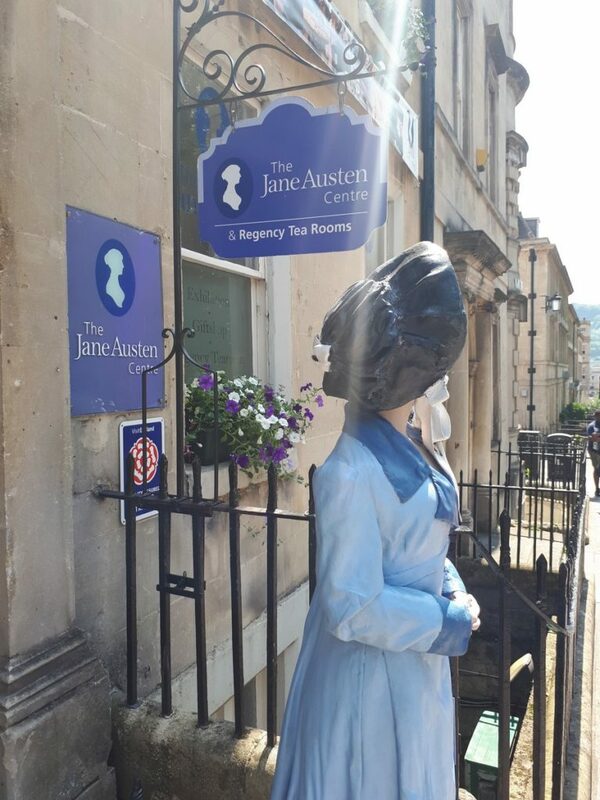 Afterwards, we walked the back lanes . . . .
And arrived at the Jane Austen Centre for a tour. 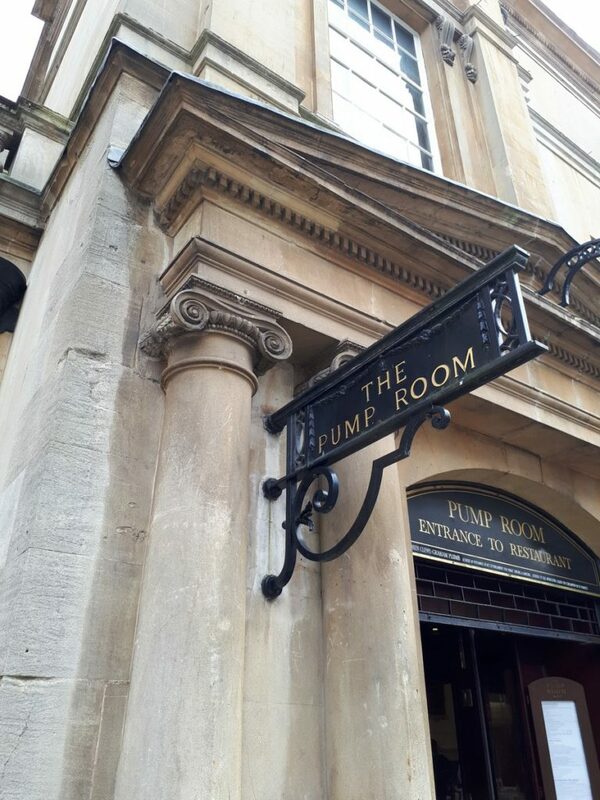 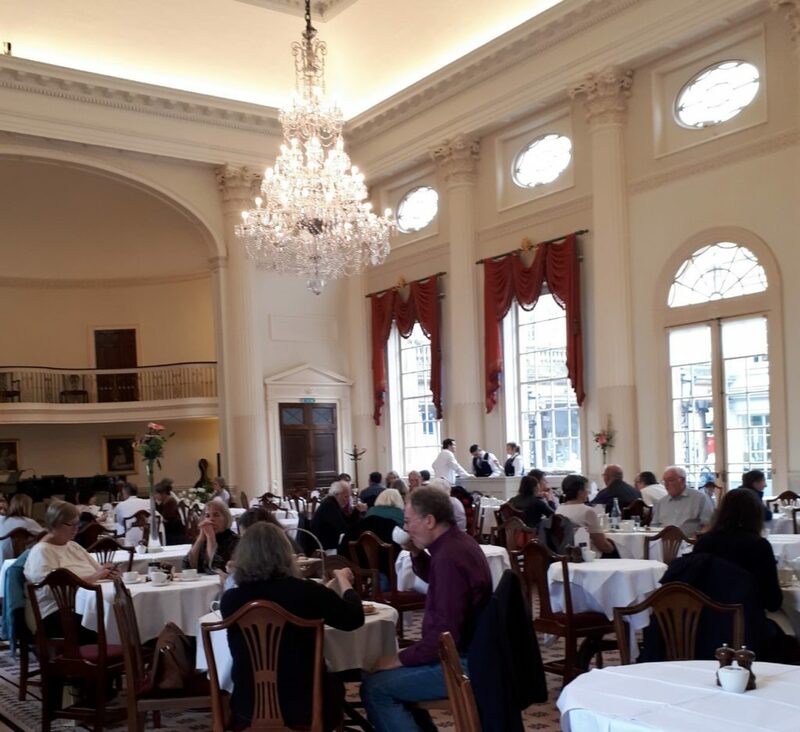 By this time, we’d worked up an appetite, so we back tracked to the Pump Room for a proper Afternoon Tea. 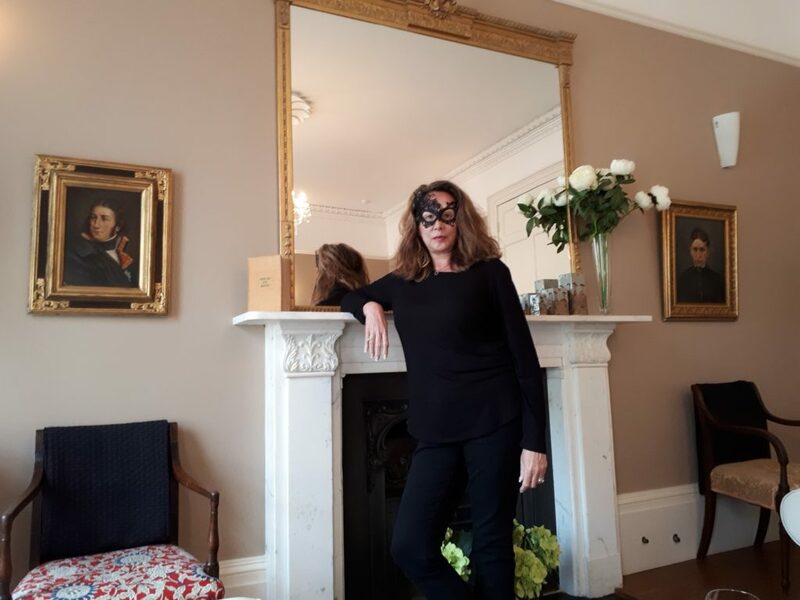 while I modeled the mask I’d purchased earlier in the day.